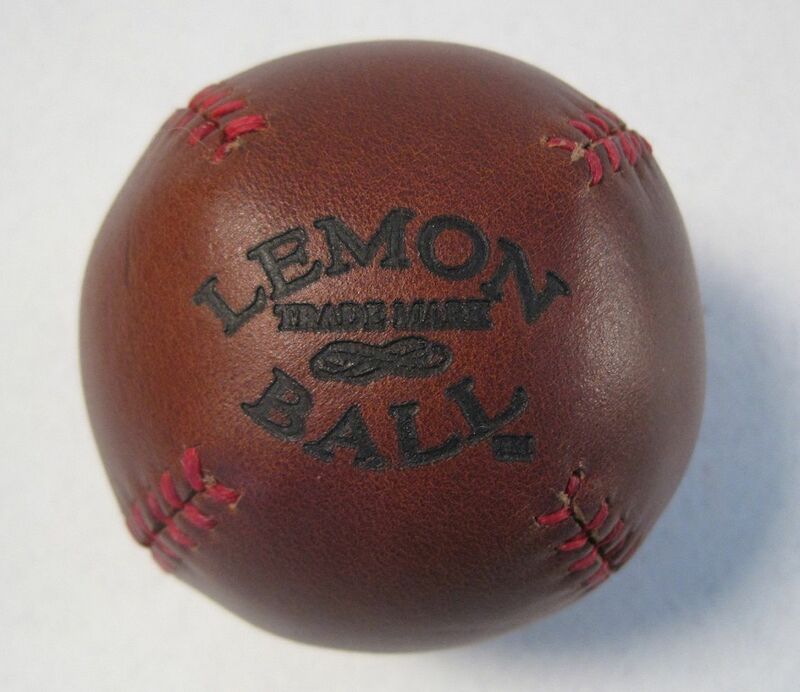 The Lemon Ball Baseball from Leather Head Sports is a throwback to a bygone 19th century era when baseballs were made in the original lemon peel style. 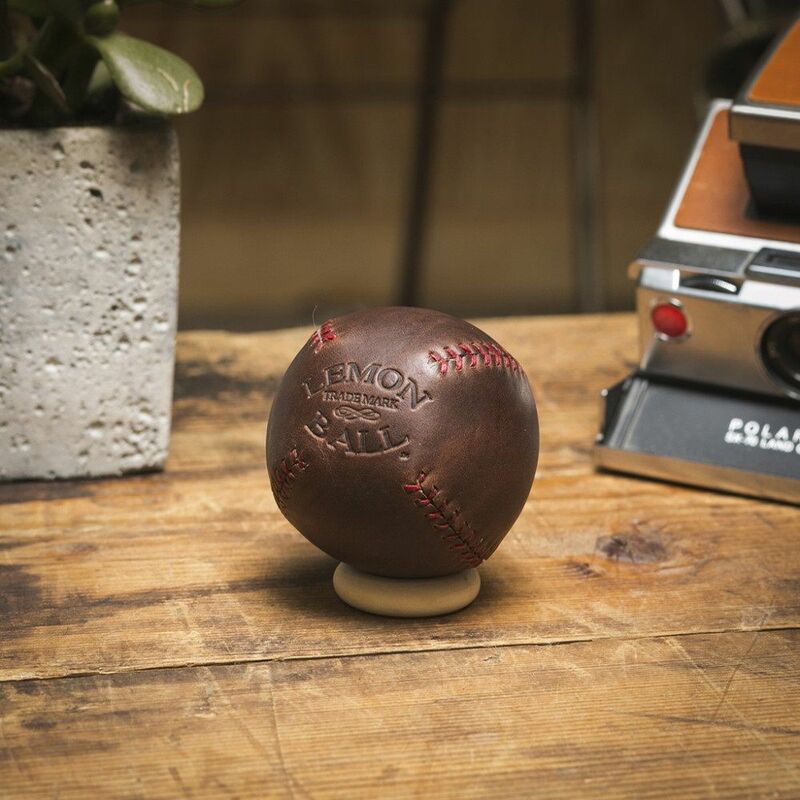 This one is made of genuine chromexcel leather from the Horween Leather Company, which has been the hallmark of original pull-up leather for a hundred years. 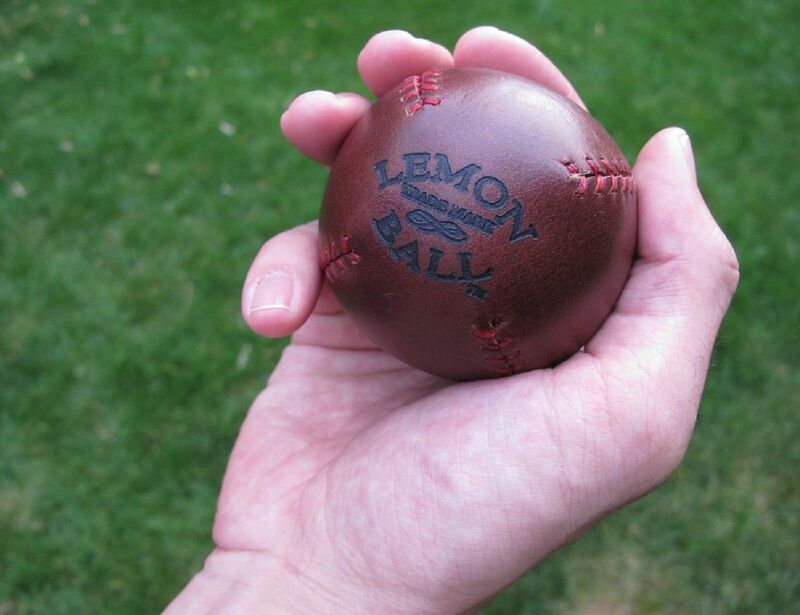 The Lemon Ball, made of brown leather with a red waxed linen thread, can also be used for a variety of other ball games including stickball, street ball and pepper. 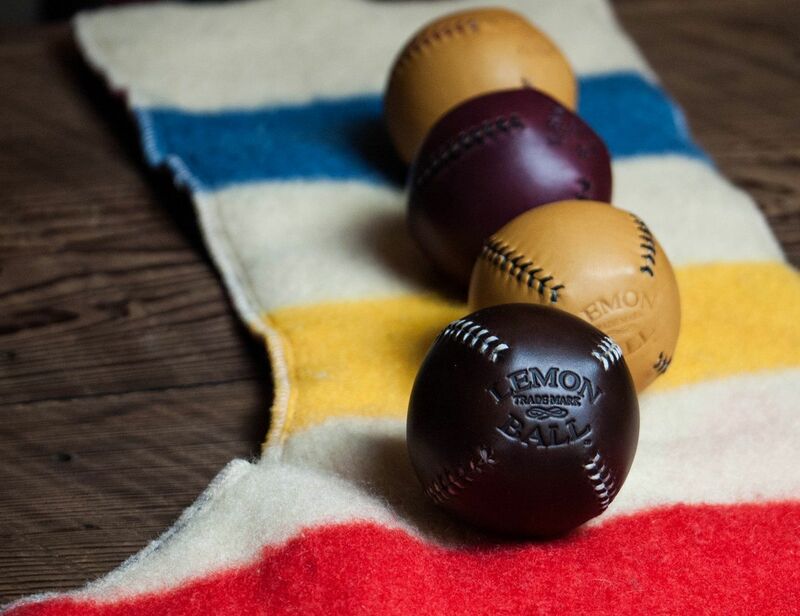 The chromexcel leather gives the ball a rather intriguing aroma and fine sheen that sets it apart from ordinary balls produced in factories. Of course, it won’t take you long to knock the dickens out of the ball and replace the aroma and shine with sweat and spit.